This is the kill switch in my Canyon. I got it from Radio Shack. It was in a pack of two for $3.49. It's located under my thumb when my hand is on the shift lever. This thread was a good idea. Keep posting the pics, people! That is a good point. When I got my newer switch installed I put it down lower. 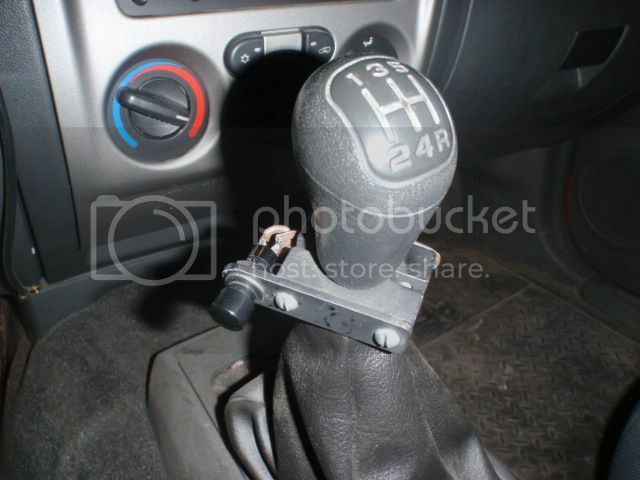 If I grabbed my shifter from the side, my pinky finger could reach it if I reached down just a little. This kept it out of the way, but still readily accessible. And my switch has a spring just stiff enough that I can feel the switch with gloves on. Tactile feedback is a good thing. 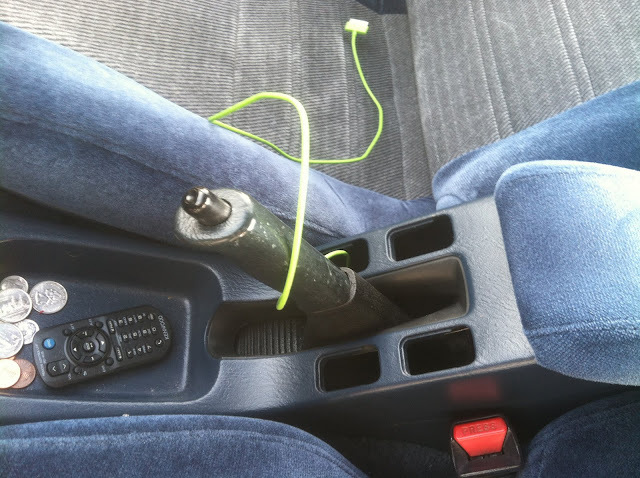 Yup, I put mine inside the center console, under the emergency brake lever mechanism so I could actuate it by pressing on the release button. Here's the thread. Still working great. I was able to find my second switch install pictures. It is mounted with a twist tie and some double sided tape to help it stay in place. It worked pretty good. Lots of good ideas and pictures! Thank you to everyone!! bestclimb, I'll probably be using the write up you made on your Civic. Link Thanks for taking the time to do that. Keep the pictures, links, and ideas coming!